Available in 1 colour. This is the regular fit. 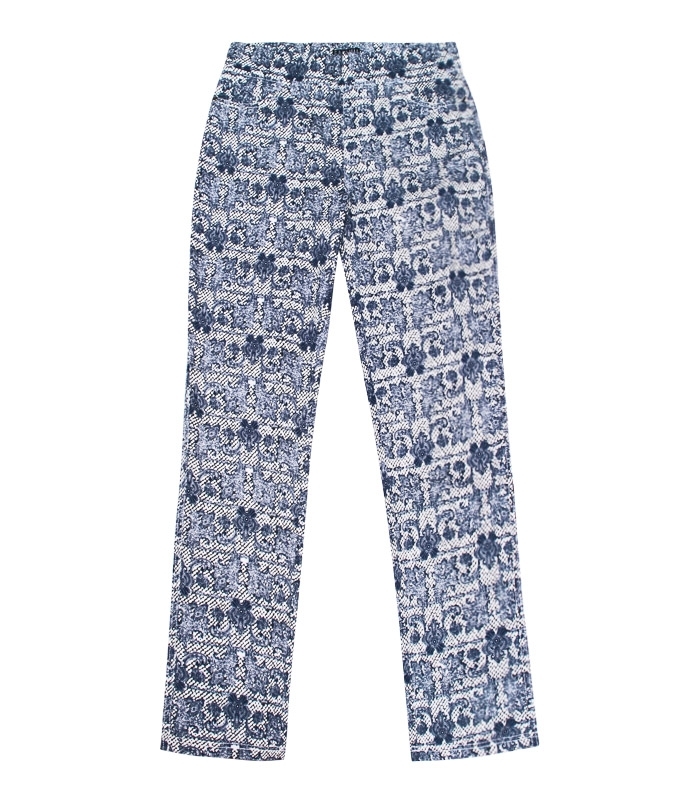 Ladies jegging style straight trousers available in a blue and white paisley pattern.